ABSTRACT: The 2018 constitutional amendments in China have attracted strong criticism both at home and abroad. This paper first uses contextual, historical, and empirical analysis to examine whether the three major amendments are as bad as widely perceived, and whether or not they will have a significant impact on actual constitutional practice in China. The paper then analyses how the constitutional amendments may challenge the two existing theories on Chinese constitutionalism. The paper argues that although none of the constitutional amendments will have any practical importance, they do send out a very negative signal, and that the trend of a constitutionalised fused system demands at least revision of the existing theories and possibly a new theory, for the purpose of not only justifying Chinese constitutional practice but also leading China towards at least a thin rule of law. ABSTRACT: This paper examines the evolution of legal strategies that the central government has used in managing Hong Kong affairs in the past three decades. It demonstrates that the Beijing government appears to have successfully employed the tactic of “legalisation without democratisation” to neutralise political resistance, to resolve thorny issues, and to stifle pro-independence voices. However, as Beijing’s legal strategies for Hong Kong have become more hands-on and assertive, the flaws and instrumentalism of Chinese-style “rule of law” have become increasingly salient, giving rise to deepening conflicts with the Hong Kong common law system. Legalisation without democratisation has given rise to a worrying trend of rising authoritarian legalism in Hong Kong. ABSTRACT: The judicial review of government actions is often used as a bellwether of the government’s attitude towards the rule of law in China. Accordingly, in gauging the direction of legal reform in the Xi era, media reports have highlighted changes in litigation against government agencies as evidence of positive movement towards greater rule of law. We provide a selective review of changes in China’s administrative litigation system in the last few years, giving special attention to the amendment in 2014 of the Administrative Litigation Law (ALL), and a 2018 Supreme People’s Court Interpretation of the same statute. In our view, the question of whether lawsuits might be brought against the government has arguably been superseded in importance by the question of how courts will decide such lawsuits. And the generic notion of judicial independence itself no longer sheds sufficient light on actual and possible judicial responses. Using the purportedly expanded scope of review of informal policy directives as an example, we show that symbolism-motivated advocacy to improve the administrative litigation in China may come at the expense of protecting the non-symbolic functions of judicial review, e.g., the coherence of law and consistency in the delivery of justice. ABSTRACT: Criminal justice has always been a focus of China’s legal reform, and a serious problem in China’s criminal justice system is police torture and coercive confessions. Almost all of the wrongful convictions that China has identified involve torture of some sort and involuntary confessions. To prevent wrongful convictions, China has implemented exclusionary rules against illegally obtained evidence since 2010, among other mechanisms. Part I of this article provides a historical overview of the problem of torture and anti-torture efforts in China. Part II traces the evolution of exclusionary rules in China and discusses various factors leading to their evolution. Part III evaluates the degree to which exclusionary rules have been implemented in practice based on empirical findings, and analyses the impact of such implementation on both judicial authorities and defence lawyers. Part IV introduces and comments on a series of legislative efforts to address difficulties in implementing the exclusionary rules, including the recently released implementing guideline. Part V puts forward some proposals for further reforms for stricter implementation of exclusionary rules. KEYWORDS: torture, coercive confession, wrongful conviction, exclusionary rules. ABSTRACT: Since 2018, a political campaign to integrate leadership by the Communist Party as the core force in corporate governance in China has reversed the course of market reform in the past 40 years, which was predicated on separation of the Party’s political functions from company business operations. This article critically reviews the trend of developments from a historical perspective and analyses the impact of the political campaign on China’s socialist market economy and rule of law conditions. Some institutional implications are also examined in the comparative context with reference to the OECD Corporate Principles. The major argument of this article is that enhancing the Party’s leadership in companies will negatively affect development of the market economy and rule of law as well as China’s attempt to create an innovative society for its economic upgrading. ABSTRACT: What does the rule of law mean in the Chinese context? 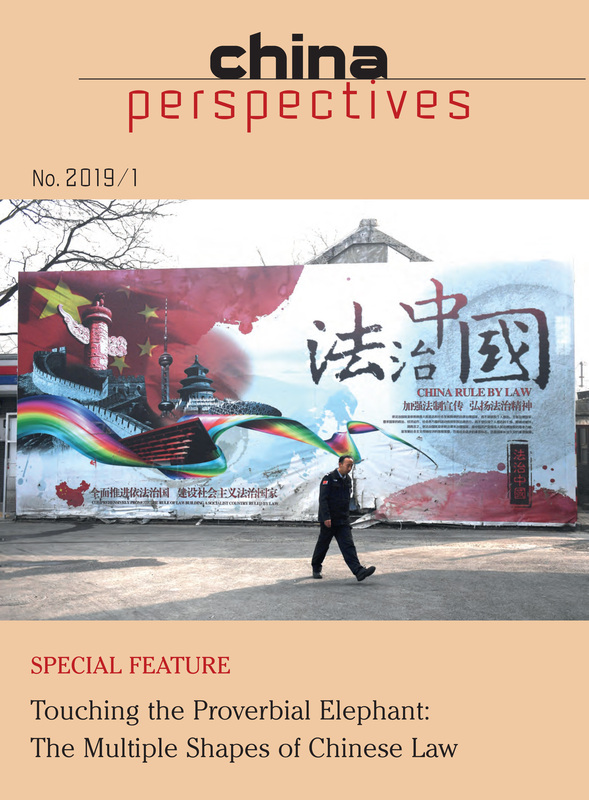 Based on empirical research in Beijing and Hong Kong, this article examines the various ways politically liberal lawyers in China make sense of the rule of law in their discourses and collective action. Although the rule of law is frequently invoked by lawyers as a legitimating discourse against the authoritarian state, its use in practice is primarily for instrumental purposes, as both a sword and a shield. For activist lawyers in Beijing, the pursuit of judicial independence is nothing but a distant dream involving a restructuring of the state, and they therefore focus their mobilisation for rule of law around basic legal freedoms and the growth of civil society. By contrast, Hong Kong lawyers hold the autonomy of their judiciary as a paramount value mainly because it is a powerful defensive weapon against Beijing’s political influence. The rule of law as a shield is only effective where its institutional and normative foundations are solid (as in Hong Kong), and it becomes little more than a blunt sword for lawyers where such foundations are weak or missing (as in mainland China). ABSTRACT: Since their appearance in the mid-1990s, Chinese labour NGOs have mostly focused on three kinds of activities: establishing workers’ centres; carrying out outreach programs on labour rights; and conducting social surveys and policy advocacy. Some scholars have strongly criticised this approach, considering it excessively unbalanced towards an individualistic and narrowly legalistic view of labour rights and thus in line with the political agenda of the Party-state. Still, in the past few years, as labour conflict intensified, a handful of labour NGOs have moved forward to adopt a more militant strategy focussed on collective bargaining and direct intervention into worker collective struggles. Based on dozens of interviews with labour activists and workers and detailed analysis of two case studies of NGO-fostered collective labour mobilisation in Southern China in 2014-2015, this paper will outline the personal and political reasons that motivated these organisations to move beyond a narrow legalistic approach and turn towards collective struggles. It will also describe the strategies that Chinese labour activists have adopted in dealing with collective cases. We will conclude by examining the main challenges that labour activists in China have to face when dealing with labour unrest and by questioning the sustainability and feasibility of this new approach in the current political climate. ABSTRACT: The “informatisation” agenda of the CCP calls upon a wide range of ICTs to transform everything from manufacturing to social management. The umbrella of versatile Internet of Things technology therefore serves as a key component of policy makers’ efforts to further digitalisation. This paper explores claims that Chinese ICT policy appropriates the Internet of Things to improve surveillance and social management in order to increase the governing capacity of the Chinese state apparatus. Finally, the paper discusses the emerging credit systems in the face of a shift towards digitalisation and reliance on data-driven analysis, and the increased attention given to cyber security that results from the Chinese state’ reliance on technology.